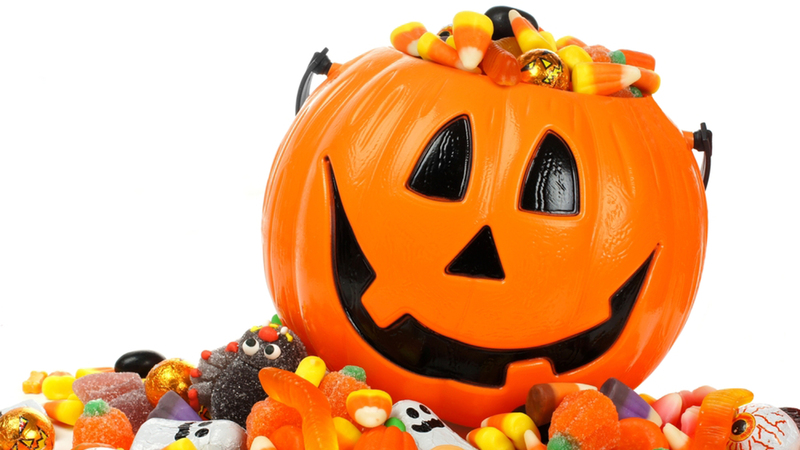 It's Halloween: Why is Candy Bad for Your Teeth? We can’t possibly discuss Halloween without tackling the question, “Why is candy bad for your teeth?” As one of the most beloved holidays of all time, Halloween is a time in which children of all ages can truly let their imaginations run wild! From dressing up in a chosen costume, to telling spooky stories of ghosts and ghouls, to engaging in some good old fashioned Halloween mischief by trying to scare each other, Halloween is certainly a great time to be a kid! Despite all the excitement and mystique that comes with Halloween, for kids there is perhaps no bigger thrill than that of Trick or Treating. This tradition of going door to door and accumulating candy may seem almost sacred among children. However, when your kiddo brings home that bag full of sugary candy, as a parent you may find yourself a bit concerned about those pearly white teeth of theirs. Therefore, before your little one puts on their costume and prepares to gather up some goodies, it may be a good idea to know why is candy bad for your teeth. Of course, not all candy is created equal, so which of these treats are okay for your kiddo’s teeth, and which ones could increase their risk of developing a cavity? First and foremost, Dr. Kimes and his Team at Overland Park Dentistry absolutely understand why candy is bad for your teeth. They also know that candy is a big part of Halloween, and are certainly not suggesting you should forbid it. Rather that you should take the time to better understand it, as excess sugar can lead to a heightened acidity level that could in turn, potentially cause cavities. If your child is properly practicing the recommended amount of oral hygiene, (brushing twice a day and flossing) then the occasional overindulgence should be fine. However, with that in mind there are certain types of candy that are significantly worse for teeth then others. From gummy worms, to dried fruit and taffy, unquestionably some of the worst candy for your teeth has to be the sticky or gummy type. As they are chewed, this sticky material covers your teeth, while proceeding to get stuck in any gap or crevice it can find. So you ask, why is candy bad for your teeth? It’s because, this can lead to a (no pun intended) very sticky situation as removing the material can be quite difficult. However if the sugary substance is not removed, the cavity-causing bacteria will most certainly have ample opportunity to flourish. Certain types of hard candy, such as jawbreakers, jolly ranchers, or even lollipops, can prove to be problematic for a couple of reasons. I know … why is candy bad for my teeth? The first and perhaps most obvious reason is the fact that biting down on hard surface of the candy may break or cause damage to the tooth. However, another less then obvious reason would be the simple fact that one would likely keep this candy in their mouth for a prolonged period of time, thus causing the excess sugar to get into your saliva, and continue to wash over and continuously coat your teeth. Easily one of the most popular and beloved candy choices out there, chocolate is also a relatively smart choice regarding one’s teeth due to its ability to be easily removed. While particularly hard or frozen chocolate would certainly be an exception, regular milk chocolate treats are a perfectly safe candy choice, so long as your teeth are properly brushed afterwards. While sugar-free gum or candy is certainly a much healthier alternative to the regular option, unfortunately sugar-free treats have gained something of an unpopular reputation among candy lovers as being a bit bland tasting as and therefore less than satisfactory. In recent years however, this has changed as sugar-free candy has improved considerably by using sugar substitutes to become much more flavorful, and thereby much more enjoyable. A personal favorite of Dr. Kimes, dark chocolate is perhaps one of the absolute best candy selections in terms of oral and general health. Much like the aforementioned regular milk chocolate, dark chocolate can be easily removed from the surface of your teeth, thus making it a preferred choice. However, what makes dark chocolate an even better selection than milk chocolate, is that fact that dark chocolate not only contains significantly less sugar than milk chocolate, but in recent studies, dark chocolate has been shown help lower blood pressure! Why is Candy Bad for Your Teeth: What’s Scarier Than Cavities? As we approach this holiday of frights and delights, you may find yourself worrying less about vampires, mummies, or the Wolfman, and more about whether or not your kiddo’s teeth will remain safe and free of cavities this Halloween. Here at Overland Park Dentistry, we certainly understand this concern, we encourage both you and your children to have fun this Halloween. And if in fact your kids do indulge in some of the above-mentioned candy types, while keeping in mind what types they are eating, also remember that a little candy every now and then is fine as long as it is done in moderation and their teeth are bushed afterwards. So as your family prepares for the thrills and chills of exciting time of year, that’s why candy is bad for your teeth! At Overland Park Dentistry, we wish you and your family a happy, safe, and of course cavity-free Halloween! Dr. Charles R. Kimes, DDS and his expert team at Overland Park Dentistry look forward to having the opportunity to care for you and your family with any preventative, restorative or cosmetic needs you or your family may have. To schedule a dental appointment, contact us at our south Overland Park office at (913) 647-8700 or our north Overland Park office at (913) 341-2380.